This article is about the guest star. 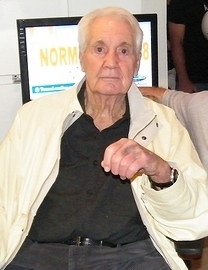 For the character, see Pat Summerall (character). George Allen "Pat" Summerall (May 10, 1930 – April 16, 2013) was an American retired football player and television sportscaster. He voiced himself in the season 10 episode "Sunday, Cruddy Sunday". Modified on September 12, 2014, at 10:21.